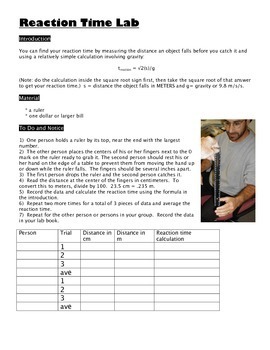 This lab is designed to have students measure their reaction time using a falling meter stick and includes a party trick based on this at the end. 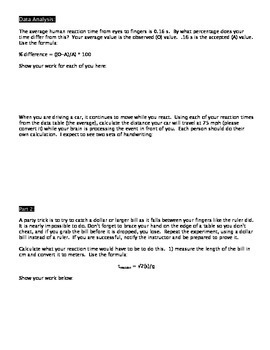 Students should get values between .10 and .25. It has been my experience that gamers have a shorter reaction time than other students who are the same age. 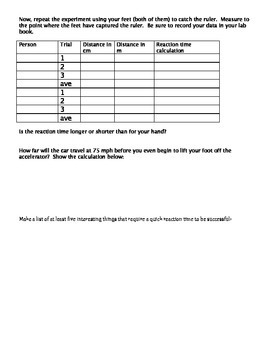 Keywords: reaction time, free fall, gravity, physics, distance, displacement, velocity, speed, acceleration, lab, experiment, data.